This review first appeared in the November 2010 issue of hi-end hifi magazine High Fidelity of Poland. 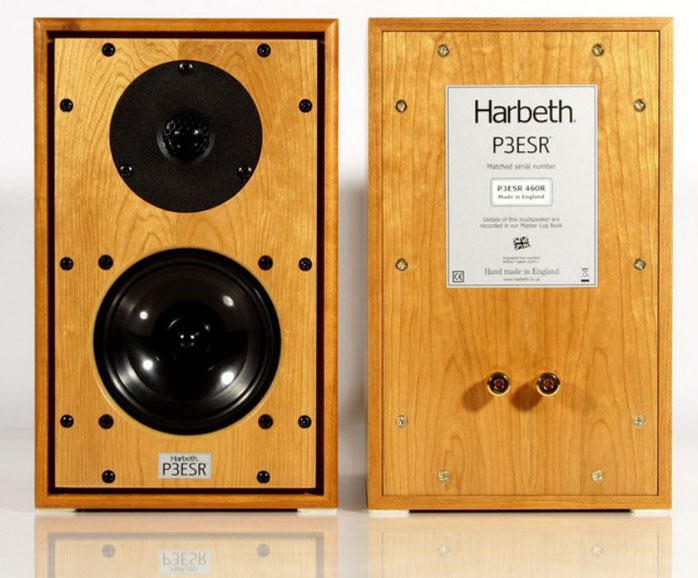 You can also read this review of the Harbeth P3ESR in its original Polish version. We publish its English translation in a mutual syndication arrangement with publisher Wojciech Pacula. As is customary for our own reviews, the writer's signature at review's end shows an e-mail address should you have questions or wish to send feedback. All images contained in this review are the property of High Fidelity or Harbeth - Ed. Alan W. Shaw designed the original HL-P3 loudspeaker to replace the LS3/5A built upon the BBC’s license. History here is rich and surprising and you can learn about it in the review of that speaker’s anniversary edition here. You should also read John Atkinson’s more complete compendium of specialized knowledge on this speaker here. Additional information can be found in one of the basic audio bibles, Sound Bites. 50 Years of Hi-Fi News by Ken Kessler and Steve Harris in the chapter The BBC influence [IPC Media, London 2005, s.116.]. Here and now all that remains to reiterate is that the P3ESR is a two-way bookshelf speaker whose predecessor was designed for the BBC studios as a nearfield monitor. 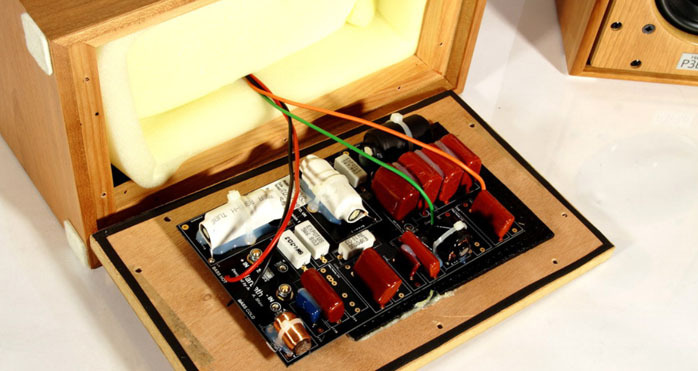 This is a tiny sealed cabinet made from MDF. The Norwegian SEAS tweeter incorporates modifications specified by Alan Shaw, owner and boss of Harbeth, while the mid/woofer is the company’s own. Its diaphragm is made from a material called Radial and now in the latest version with a ‘2’ suffix in the name. The terminals only support single wiring. 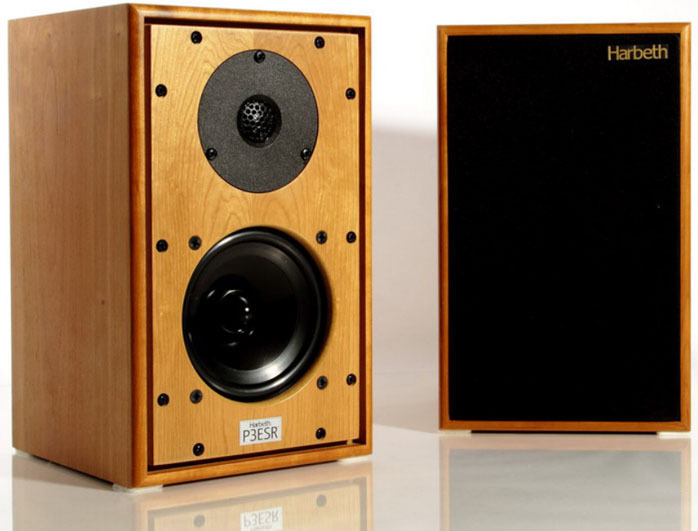 The loudspeakers are made in Harbeth’s own UK factory. The basic version in natural veneer sells for 5.900zł in Poland while other finishes are available for 6.300zł. Sound: Discs used for the listening sessions - Anja Garbarek, Briefly Shaking, EMI, 8608022, Copy Control Disc; Carmen McRae, Carmen McRae, Bethlehem/JVC, VICJ-61458, K2HD; Depeche Mode, Sounds Of The Universe, Mute, STUMM300, 2 x 180g LP; Diorama, Cubed Deluxe Edition, Acession Records, A 114, 2 x CD; Frank Sinatra, Nice’N’Easy, Capitol/Mobile Fidelity, UDCD 790, gold CD; Jean Michel Jarre, Oxygene, Dreyfus Disques/Mobile Fidelity, UDCD 613, gold CD; King Crimson, In The Court Of The Crimson King, Universal Music K.K. (Japan), UICE-9051, HDCD; Kings of Leon, Only By The Night, RCA/BMJ Japan, BVCP-40058, CD; Laurie Anderson, Homeland, Nonesuch, 524055-2, CD+DVD; Marylin Moore, Moody Marylin Moore, Bethlehem/JVC, VICJ-61467, K2HD; Peter Gabriel, So, Virgin, SAPGCD5, SACD/CD; Savage, Tonight, Extravaganza Publishing Srl/Klub80, CD001, 25th Anniversary Limited Edition, CD; Yes, Fragile, Atlantic/Mobile Fidelity, UDCD 766, gold-CD. My Harbeth auditions began atypically outside the reference system. Usually I start forming an opinion by connecting a loaner to my system to replace a corresponding component. This gives a clear picture because I replace only one element at a time and I immediately know what produced the change. But this time on the Pro Audio Bono platform I’d just bought I had sitting the Quad II Classic integrated amplifier reviewed in the same issue. One glance at it was sufficient to have me run the loudspeaker cables to it as a compact beautiful design of noble genealogy which gave me common characteristics for both brands. Combining those two British products (well, one is only half British today) produced such fascinating results that I stayed with the mating longer than strictly required by protocol. If not for the need to conduct a formal review and identify how the Harbeth performed rather than the Harbeth + Quad combo, I would have remained with it exclusively. If you read my review of the Classic, you know that it is characterized by a warm even ‘scorched’ sound. Its treble is rather withdrawn while the bass is muscular and strong. The midrange is the center of attention but does not reign unanimously because the midbass together with the midrange create such a strong basis for all instruments that the soundstage gets really big and expansive. With the Harbeth all those elements were obvious. I could have conducted the Quad test with just them. I would not have been able to tell much about the lower bass because we don’t get any from the 3PESR but otherwise I would have had a quite clear picture of the amp.